What is the difference between point and nonpoint source pollution? Clean water is one of the Codorus Creek's most vital resources. However, the streams, lakes and wetlands of the watershed are degraded by two general types of pollution: point source and nonpoint source. Point sources of water pollution are municipal and industrial wastewater coming from a distinct "point" such as a sewer outfall. Nonpoint sources of water pollution, however, cannot be easily traced back to a particular location. This type of water pollution is diverse and comes from everyday land use activities such as agriculture, residential development, construction, forestry, and more. What Causes Nonpoint Source Pollution? Nonpoint source pollution invloves three natural processes: stormwater runoff, erosion and sedimentation. Rainwater flowing across land and entering streams and lakes is known as stormwater runoff. The force of the runoff breaking up the soils and detaching individual soil particles is termed erosion. The soil particles are eventually deposited into nearby streams and rivers. This process is called sedimentation. Although a natrual art of the water cycle; runoff, erosion and sedimentation have been accelerated by the way we have chosen to develop land. 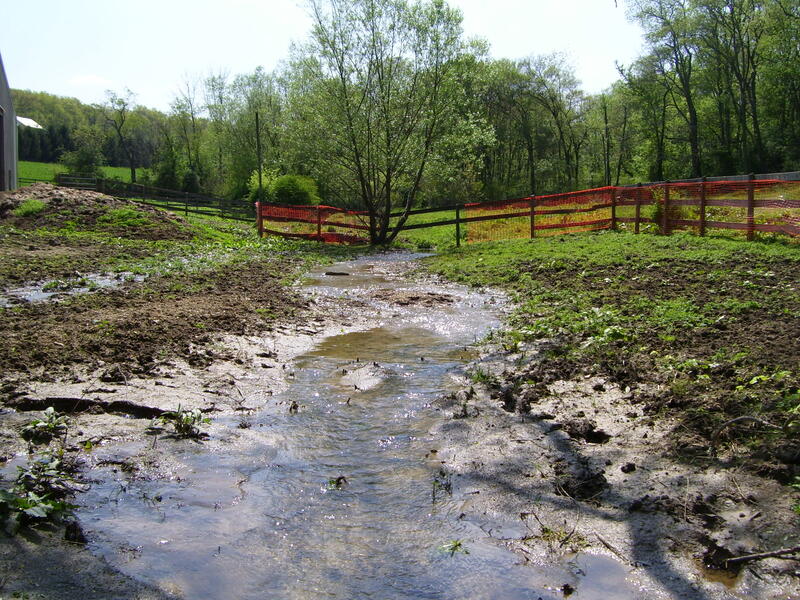 Almost all nonpoint source pollution is caused by stormwater runoff and erosion. Rainwater and melting snow run ver residential lawns, construction projects, streets, and farm fields, carrying with it pollutants such as soil particles, chemicals and nutrients. Water also infiltrates (soaks into) the ground. Therefore, nonpoint source pollution also occurs from infiltration of pollutants into the ground. Pollutants originating from landfills, abandoned mines, and underground storage tanks are possible groundwater pollution sources. Since nonpoint source pollution comes from a variety of land use activities, we are all responsible for the problem.